Lynn Valley is a neighbourhood rich with history; the tales of our long-age neighbours are interwoven through our very forests, steams and streets. 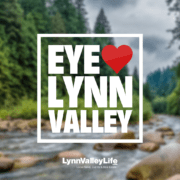 For a primer on our past, visit the LynnValleyLife History page … or, even better, pop into the Community History Centre, located in the former Lynn Valley elementary school heritage building at 3203 Institute Rd. This is a great post from our archives by Bob Rasmus. 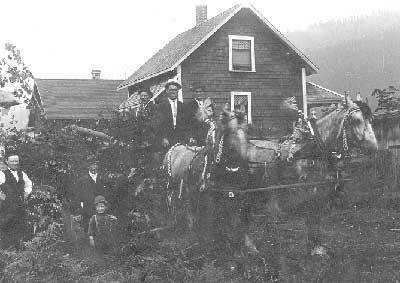 In 1912 the residents of Lynn Valley worked hard. There were trees to fall, buck up and transport to the mills. And once they reached the mills, there was still a lot of hard work remaining in order to turn the raw logs into lumber for transport to market or to build local houses. By today’s standards, every task that was carried out was accomplished through hard physical labour. It only made sense that a few community-minded individuals took it upon themselves to create an event that gave the local residents an opportunity to play. 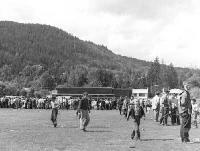 The first Lynn Valley Day was held 100 years ago, in September 1912. Featured events include Pin the Tail on the Donkey, a Tug-of-War, a ‘Fat Men’s’ race and a Men’s Handicap Competition for Merchants Trust and Trading Co. Cup. For a look at the actual 1912 program of events, click here! Also included in the day’s activities was the official opening of Lynn Canyon Park by Reeve William May, with assistance from the Mayor and Council. (For a story about the park’s early history, click here.) 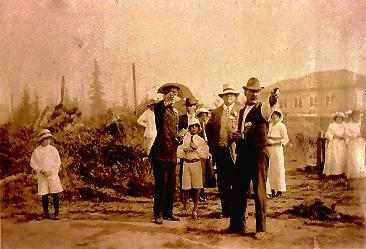 Following the opening of the park was the inaugural opening of the Suspension Bridge. Later in the evening, there was a dance that was led off by the Reeve and distinguished guests. The president of the organizing committee was John M. Duval, and the Vice-President was J.M. Fromme. 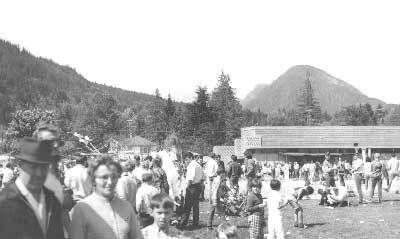 Lynn Valley Day continued to be celebrated over the following decades. 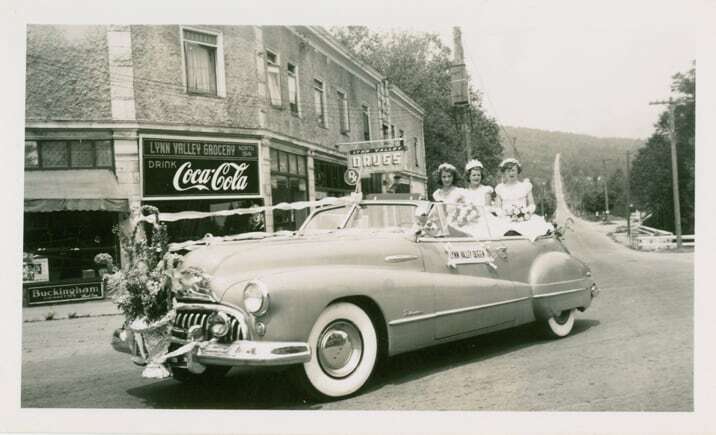 (For a newspaper account of the 1946 community fair, click here.) 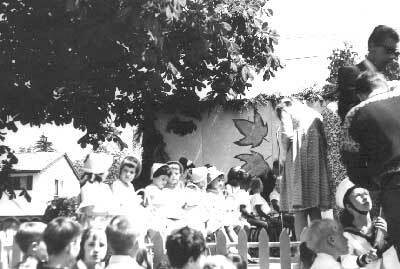 By 1949 the event had moved to June 25th and had grown in importance with the advent of hundreds of new residents. From 9 a.m. until midnight there were activities for young and old alike. Track and Field events for all ages got underway at 9 a.m. with one of the features being a community tug-of-war, in which winners were awarded with a special trophy. The afternoon featured the crowning of May Queen Norma Damgaard, in addition to folk dancing, Maypole dancing, a children’s fancy dress parade, a band concert by the North Vancouver School’s Band, boxing matches and whist drives and concert. These were all topped off with the annual Lynn Valley Day Dance. Officials in 1949 included M.E. Sowden, James Sinclair, Johnny Cates and MLA W.M. Draycott – the latter, of course, still well-known to us as the community builder who is commemorated with a bronze statue sitting on a bench in Pioneer Park. 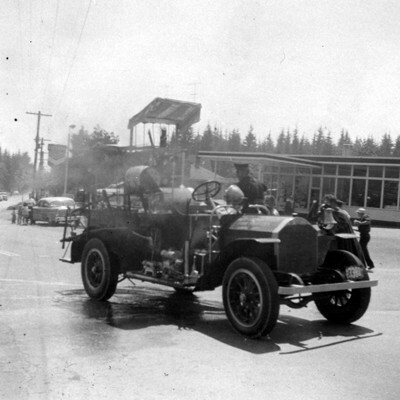 In 1962, the 50th Anniversary was a special event held on Saturday, June 2. The day began with field sports, including races, jumping competitions for children of all ages, some pole vaulting and some discus throwing for older children. The afternoon was reserved for adult races which culminated in a “married couple’s pie-eating contest” with a $2.00 prize. While the afternoon races were going on, there was also a full slate of concessions to take part in and a parade to watch, as well as the coronation ceremonies for the Lynn Valley Day Queen of the year. The evening began with a ladies softball game at 6 p.m., followed by a square dance at 7:30 and a dance at the community hall at 9:00. It was a full day of activities – just check out this schedule of events! Lynn Valley Day historical images courtesy of North Vancouver Museum and Archives. More than 100 years later, this annual community event is still very much alive and entertains up to 10,000 people. In latter years, it has grew to the point that now both the Lynn Valley Lions Club and the Lynn Valley Community Association were required to manage it. This year’s event kicks off with a gala dinner and dance under a huge tent on Friday night. Saturday morning begins the community parade. There will be the fantastic Lions’ Cook Shack, balloon artists, face painters, music, along with rides, public displays and a collector car show, will be entertaining crowds all day long. The residents of Lynn Valley still work hard, and deserve a chance to relax and enjoy time with their family and friends. Lynn Valley Days still provides that opportunity. 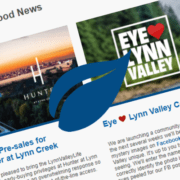 Receive our monthly e-Newsletter with community news, special merchant offers and the newest Lynn Valley real estate listings.